One-third of the U.S. adult population suffers from chronic pain. 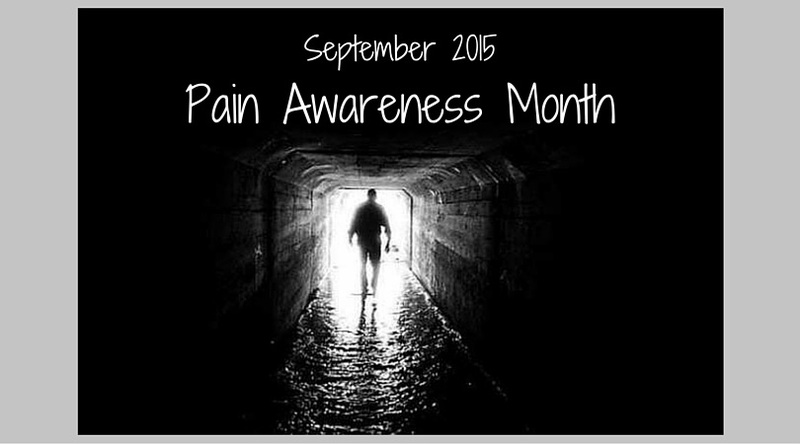 Recent survey findings prove that pain is a very real crisis that is here to stay. Since establishing September as Pain Awareness Month in 2001, the American Chronic Pain Association (ACPA) has continued to keep pain and pain management issues in the public eye through Partners for Understanding Pain, a consortium consisting of 80 organizations, which include health-condition-specific groups as well as those with a broader mission that seek to improve the lives of people with chronic, acute, and cancer pain. One-third of the U.S. adult population suffers from chronic pain. Whether the cause of this extreme discomfort is a chronic illness, or the result of a surgery, previous injury or some other event, recent statistics prove that pain is a very real crisis that is here to stay. The critical importance of pain awareness was highlighted by the emphasis we placed on the troubling statistics in a recent blog, Research Proves Americans Are in Pain. As a Johns Hopkins pain medicine specialist and through my national radio show, Aches and Gains, I know that countless pain sufferers feel misunderstood and isolated in their pain, since the condition and its emotional effects are often invisible. The risk of suicide doubles with patients who suffer from chronic pain. In addition to this dangerous potential outcome, there are other troubling emotional side effects, such as the inability to concentrate due to overwhelming pain. This lack of focus can significantly impact work and family life, causing strained relationships with family, friends and romantic partners, as well as co-workers and supervisors who either ignore or can’t seem to grasp the severity of the pain. The majority of chronic pain sufferers find that pain prevents them (on a regular basis) from participating in simple activities that used to bring them joy, seemingly simple undertakings that healthy people often take for granted. Pain doesn’t only affect a patient’s ability to engage in physical exercise, such as bike riding, it can also hinder the sufferer’s ability to go about their daily lives, whether the tasks are bonding with family or involve basic housekeeping tasks or other chores. An individual with persistent pain may not be physically able to play with their children, do laundry, or take their turn in the neighborhood carpool. Their only relief from the pain is if they use products like cbd oil for pain. It’s a life changer for those that suffer from the condition. Back in July, I served as chair of the 2015 Pain Care for Primary Care Conference, an event that helps doctors enhance clinical care and acquire additional skills in treating patients who present with pain and pain-related symptoms. I have several speaking engagements planned for September, which I have outlined below. I encourage you to visit the linked pages to learn more about each event and how meetings such as these help increase pain awareness, support research, and improve treatment. I will present on Visceral Pain at this conference on Sept. 11, 2015. Visit this page to view the other presenters on the agenda. On Friday, Sept. 18, I will be discussing Neuromodulation: Best practices and experience with spinal cord stimulation and intrathecal drug delivery. On Sept. 26, 2015, I will be visiting my alma mater, the University of Notre Dame, to deliver a presentation on Pain: The Human and Economic Crisis to members of the Notre Dame community as part of The Dooley Society Lecture series. Please visit my Recommended Resources page for links to numerous pain and condition-specific associations, including the American Chronic Pain Association. Posted in Blog, In the News, Psychological Pain, Stress and tagged alternative treatment, chronic pain, pain relief, pain treatment, statistics.